In this 2018 TEDx talk, Professor Jason Laker shares insights from research that he and Dr. Erica Boas have been conducting since 2012 examining college students' sexual consent communication and negotiation. 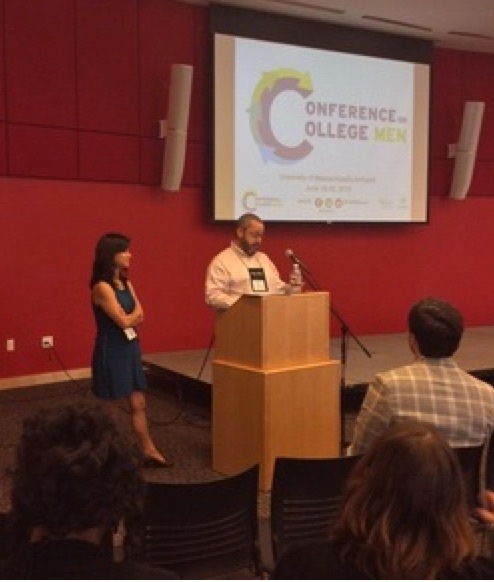 Erica and Jason deliver the opening keynote presentation, "His Issues, Her Issues, Zir Issues, Our Issues: Rethinking Assumptions About Sexual Coercion and Assault" at the 2015 Conference on College Men hosted by the University of Massachusetts-Amherst. 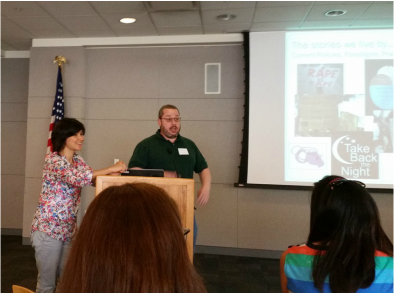 Erica and Jason present their research and implications for practice at a recent Sexual Assault prevention conference. ​Laker, J. & Boas, E. (2015). Compliance is simple, Consent Stories are complex: Building capacity for sexual agency as a prevention strategy. Journal of Campus Title IX Compliance and Best Practices. 1, 21-28. Understanding sexual consent communication from Womxn’s perspectives (w/Research Assistants Angeles De Santos-Quezada & Alisala Nunes), Summer Institute on Sexuality, Center for Research & Education on Gender & Sexuality, San Francisco State University, 2018. Invited Lecture, Sexual Culture, Coercion & Consent: Disarticulating the Setup of Socialization, Center for Research & Education on Gender and Sexuality, San Francisco State University, 2014. Panelist, Lost (Agency) in Translation: Dilemmas of Negotiating Gender and Sexual Consent, (En)Gendering Technologies: Organization of Communication, Language, & Gender Annual Meeting, San Francisco, CA, 2014. Real Life vs. Yes or No: Unraveling Policies, Politics and Problems of Sexual Consent, Bay Area Conduct Officers Network (BACON) conference, 2014. The RealPolitik of Sexual Assault: Sociosexual Cartographies of Gender, Consent and Collegiate Hookup Culture, Center for Studies in Higher Education, University of California-Berkeley, 2013. Hookups and Hang Ups in the Virtual Age: Gender Roles and the (New) Sexual Politics among College Students, Center for Studies in Higher Education, University of California-Berkeley, 2012.